A really cool use of WinKey is to combine it with the TAB key. 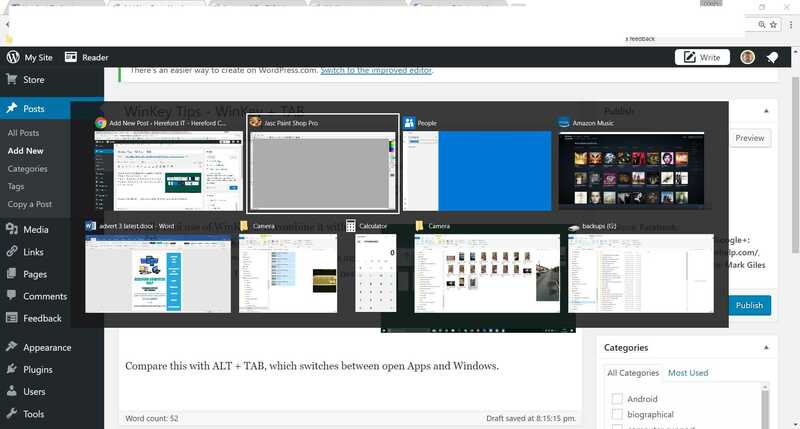 Pressing WinKey + TAB displays a static overview of all your open Windows, allowing you to select the one you need with your mouse, or tapping it, on a touchscreen. Compare this with ALT + TAB, which sequentially switches between open Windows, and requires a bit of finger dexterity to release the WinKey at the appropriate time! WinKey + left or right arrow key (← →) enables you to “snap” the current Window to one side of your screen, thus using only 50% of your workspace. 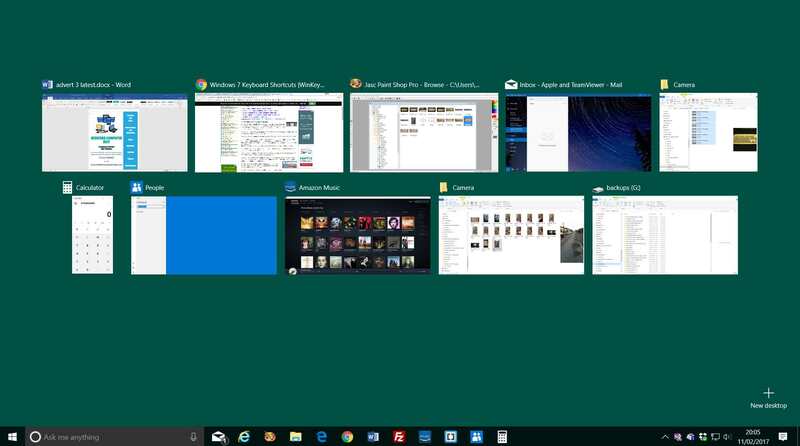 The really clever thing about this is that, if you then select another open Window, perhaps from your taskbar or desktop, that other Window will “snap” into place alongside its neighbour! WinKey + up arrow (↑), depending on how the current Window is sized, enables you to quickly maximise your current window, or bring it out of the taskbar. There are other WinKey shortcuts, but these are the most useful, IMHO.